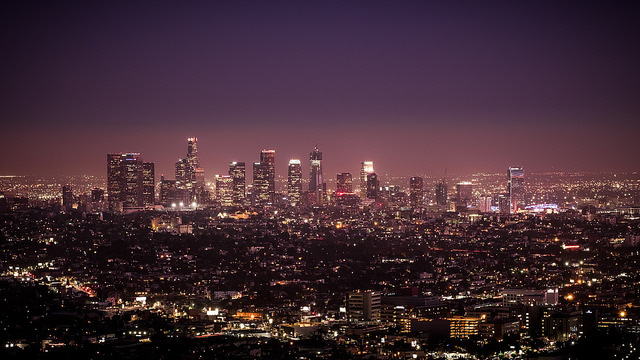 New York Times reporters Tim Arango and Adam Nagourney recently kludged together a mish-mash of old tropes about Los Angeles, tossed in a bit of stew about the long-standing troubles at the Los Angeles Times and declared it a news story. A headline writer then slapped on an obituary-style header — “A Paper Tears Apart in a City That Never Quite Came Together” (past tense, no less!) — as if Los Angeles had died on the way to the emergency room and was now just a place of myth and memory, a lost urban Atlantis. Unfortunately it is neither new, nor even surprising for the New York Times to write with such dismissive inaccuracy and fundamental misunderstanding of Los Angeles. It’s a product, I think, of a belief system that says every civic culture either needs to look like New York City’s or that all civic cultures are somehow the same. They are not. On this score, Arango and Nagourney missed entirely a key way in which leaders hold power in Los Angeles. Taking New York by contrast, it’s important to recognize that the civic culture of that city — a perspective that none other than the New York icon David Rockefeller found informative when he and I spoke about it some years ago — is organized hierarchically, like the ascending tiers of a wedding cake. Power in New York accumulates in the upper tiers, a product of social striving, power concentration, tight physical proximity, and upper-tier access greased by wealth, birth and common complexion. Power in Los Angeles, where the civic culture is organized quite horizontally in reflection of the region's geography is much less hierarchical. It is instead distributed across complex and diverse networks resembling the hubs, spokes and nodes of the Internet. Leaders hold power in Los Angeles less by where they stand in social hierarchies (though the phenomenon certainly exists) and more according to the breadth and number of their relationships in and across distinctive political, social, cultural, educational and economic networks. The more networks a person engages, straddles and links, the greater their power tends to be in this city and region. Civic networks here have a curious institutional strength, durability and resilience, often in spite of the ebb and flow of muscle and sway in traditionally recognizable centers of civic power like City Hall, the Board of Supervisors, corporate suites, philanthropic board rooms, and, yes, newspapers and media outlets. The transmission of information and the deal-making of politics and civic place-making in those networks is remarkably efficient, only in part reliant on single, major media sources like the Los Angeles Times. That said, a strong news source shared in common across civic networks has a powerful binding effect. By investigating and scrutinizing actions of the powerful and the conditions affecting rich and poor alike, news sources shared broadly across the population act as checks on corruption, stimuli to social correction and cohesion and beacons of accountability. All of us in the region will learn quite soon about prospects for an elevation of public and private accountability with the recent acquisition of the Los Angeles Times by billionaire Patrick Soon-Shiong. Soon-Shiong is a bona fide local (with immigrant roots) stepping in to mend disastrous management missteps and institutional disinvestment wrought by more than a decade and a half of ownership by Chicago-based Tribune Corporation and then Tribune Online Content (TRONC). Among his first and most critical signals to the people of this region will be Soon-Shiong’s decisions about who will serve as publisher and who will serve as editor-in-chief of the paper. Let’s hope real civic accountability instincts distinguish every step of his ownership of the paper. We Angelenos vaunt our autonomy and independence – a product of our flat, civic network-straddling history and culture. But the threads, cords and ropes that bind those networks get pulled more tightly together and grow more compelled to address complex, often conflicting interests when what they do occurs under the watchful eye of an independent news institution committed to bringing voice to the unheard and holding the most powerful answerable to all.